Brigitte is a light shade recommended for those with blonde, light brown, or red hair. Enriched with Magic Elasticizing Wax and vitamin E, Charlotte’s revolutionary new brow gel glides on like a dream, shaping, sculpting, and thickening every single hair for flawlessly defined brows in an instant. It’s the perfect quick fix for brows that are too thin, too light, over-plucked, or patchy. Use the Micro-Fine Precision Brush to brush brow hairs in an upwards motion. The key to Legendary Brows is small strokes—the tiny bristles will pull up, coat, and tint even the smallest brow hairs. This is the greatest tinted brow gel of all time. This brow product is incredible. When I opened it I couldn’t believe how small the brush tip is. You thought Benefit and Glossier have small brushes? This one is slightly larger than a cooked grain of rice and it’s super precise. You can manipulate every single brow hair with this! After using it my brows looked fuller and more defined. It preserves and enhances natural brow shape without glueing hairs together. I find that it looks almost like a subtle microblading effect! Your brows will look like they have extra hairs but without annoying fibers clumping all over. I cannot rave about it enough! In the photo you can see the difference between Gimmie Brow and CT Legendary Brows. Gimmie Brow is so much more goopy in comparison! This is the best brow gel I've tried. it has a tiny brush that makes it easy to apply and the shades are very natural and long lasting. So glad to see that Beautylish is carrying it! The best brow product that I have ever used. Looks natural, not obvious powder or crayon look. I am so happy to have found it. I am going to order the next darker color. I am mostly gray, and the lightest color didn't color the whites. Cannot go a day without it! The Charlotte Tilbury Legendary Brows is a must have! I cannot rave about this product enough. The small wand/brush makes application easy yet precise. You need to brush slowly each hair to get a natural brow effect (not filled in like a solid color). I have barely there eyebrows so I'm always penciling it in (with Anastasia Granite Brow wiz, followed by Anastasia eyebrow powder). 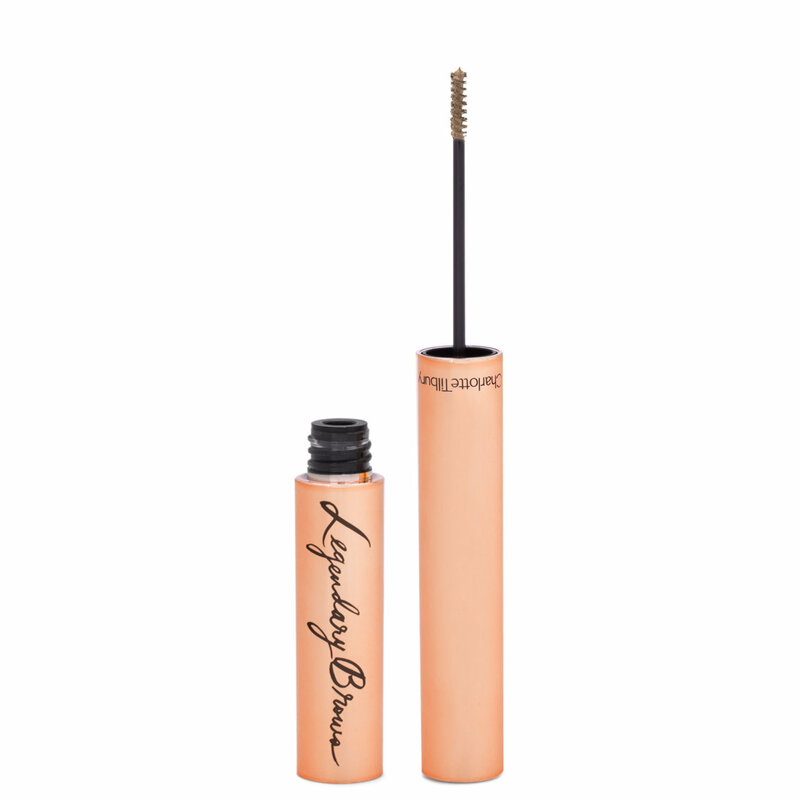 Using CT Legendary brows alone is good enough for a trip to the gym for a natural look. I used it while spinning and despite the intense sweat it stayed on! For work or night outs, I use it on top of my Anastasia pencil + powder combo and it seals it. Lasts me 6-8 hours. The shade Super Model is perfect for my brown/black hair and fair skin (Asian). It matches with my Anastasia Granite Brow Wiz or Anastasia Ebony Brow Definer. This is a great product! It is so easy to use in my brows. It makes them look fuller and groomed. I love the how tiny the brush is... it has made doing my brows 100% easier and actually kind of fun. I highly recommend this product. I have blondish brown highlighted hair and this color matches my eye brows really well. The best eye brow gel I have ever tried! This replaced my Benefit brow gel. I particularly love the tiny brush for precise application. This is the best brow gel that I've ever tried. 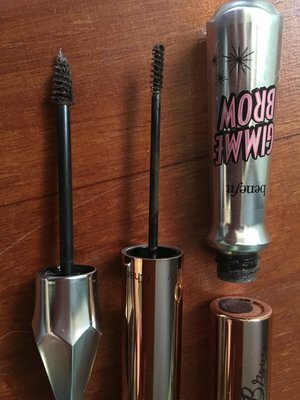 Extremely easy to apply with that tiny cute brush, and it makes my brow a perfect finish! A little background on my brows. ..I severely over plucked them a few years back so I have a few sparse areas in my brows. This product not only holds my brows in place it makes the hairs "pop " more as in my brows look more "natural" and overall better. I don't use it alone....I'll use the MAC Brow Fluidline first to outline the shape then I'll fill in with the Anastacia Beverly Hills brow powder duo. Then I'll take this as the last step and softly brush my brow hairs upwards into place. I will say that if I use too much my brows look kinda ashy and strange. I just use a little and my brows look fabulous!! Despite now having naturally gray hair my eyebrows are still (mostly) dark brown and luckily quite full. That is apart from the few random hairs that have started growing in pure white. I have tried many products, gels, powders and pomades but this is hands down the best by far and the only one that truly covers those pesky white brow hairs well enough to blend in with the rest. The brush is so tiny that it makes achieving a natural look very easy. I am so pleased that Beautylish are now stocking it. way ahead of any other! first I apologize: I wrote this review 5 days ago for the wrong product [brow lift] which I returned as it did not do what I wanted to do. that review was meant for this most wonderful product, Legendary Brows. Legendary Brows does exactly what I want it to: it covers those pesky white eyebrow hairs that seem to be multiplying w/o overly doing the rest of my brow. I am a platinum blonde that has always had dark [black] eyebrows...natural. now that I am older I do not want black eyebrows as it looks ridiculous on me. I researched reviews here and elsewhere carefully and decided to take a chance on Linda. perfect! the brush is very fine and will "capture" them all. no clumping and no flaking. lasts 10 hours or more for me. I love this product so much I have ordered extras to keep on hand.